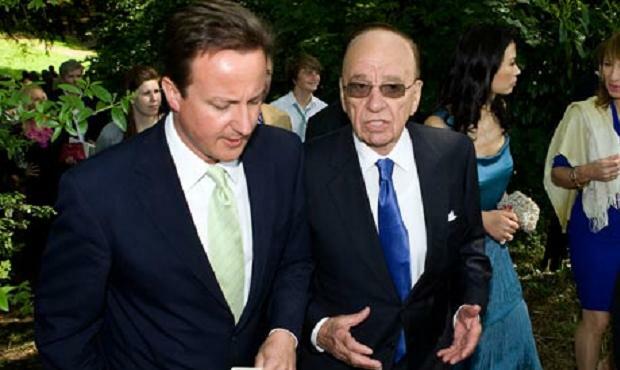 Rupert Murdoch told the Leveson Inquiry last week that he’s never asked a British Prime Minister for anything. Amazing, he didn’t ask Thatcher for support when he moved to Fortress Wapping and kicked out the unions. He didn’t ask for the deregulation of the media that allowed him to become the dominant proprietor in print and broadcasting. He didn’t ask for the so-called “NISA clause” in the Employment Relations Act 1999 that blocked independent trade unions from seeking recognition. And he didn’t make a deal with the Tories in advance of the 2010 election that their media policies would be exactly what he wanted. Of course, Rupert Murdoch has always been a bit fast and loose with the truth – in 1981, he gave undertakings about the editorial independence of the Times and Sunday Times when he took over that were almost instantly breached. Unsurprisingly, a number of former editors have already reacted to his comments last week – about not interfering in editorial processes – with incredulity (read for instance, former Times editor Harold Evans’s riposte in the The Daily Beast). However, we’ll have to wait until the politicians start making their apperance in front of Leveson over the coming weeks to see if they, indeed, agreed that they too were “never asked for anything”. If the claim turns out to be true, then Rupert Murdoch must clearly be in possession of the most amazing dog-whistle in politics. He doesn’t have to ask, politicians just know what he wants. Of course, in the 1980s, what Murdoch wanted happened to coincide with Thatcher’s anti-union war. Media deregulation might just have been a thank you on her part. Tony Blair would probably have done anything to keep the Murdoch papers on-side. Still, when questioned by John Hendy, the lawyer acting for the NUJ, Rupert Murdoch insisted he didn’t even know what the NISA clause was. The power of the whistle may have been dented by the shocks and waves of the Hacking scandal, but they have not rendered it completely impotent either. As we saw this week, Tory members of the Commons culture, media and sport select committee voted against their own committee’s report because it had dared declare that Murdoch was “not a fit person to run an international company”, a verdict they knew to be on the cards for the six weeks prior. However, the spell may finally be broken, as more and more politicians lose their fear and publicly condemn Murdoch. There was good news in there for the National Union of Journalists (NUJ) too. Murdoch publicly stated that the ‘conscience clause’ idea the union has been promoting for years is one he would support (provided it wasn’t implemented through the NUJ). When denying knowledge of the NISA clause, he declared his journalists were free to join the NUJ and that, if a majority of journalists at his titles wanted to do so, he’d “accept their democratic decision.” (You can read the NUJ’s response here). Well, we at the NUJ are working on it – as the cover of the latest edition of The Journalist proclaims, “The union is back in Wapping”. Of course, you would never be aware of this fairly monumental shift from watching the news, where the NUJ angle to the story – when not caricatured or misinterpreted – has been almost completely ignored. The BBC has been notably bad, particularly in their current affairs shows just after Murdoch’s appearance. On last week’s editions of their flagship programmes, Question Time and This Week, the NUJ did not warrant a single mention. As I argued back in a piece for the Guardian in July, the NUJ could have saved the News of the World. An independent union within News International would have provided a counterbalance to the power of the editors and proprietors and put a limit to their excesses and abuses. The collective can tackle stress and bullying and prevent people getting desperate – in other words, the very pressures that many journalists faced in News International and which contributed to the ethical failures that eventually brought the News of the World to such an ignominious end. Talking about dog whistles – there was a tweet from Rupert M last week that just said “Louise Mensch”. Tom Watson picked it up and tweeted to LM something like “You are being called?”. Coincidence?